This porcelain four-piece bath accessory set has a cool stone-like finish that will make your bathroom look luxurious. 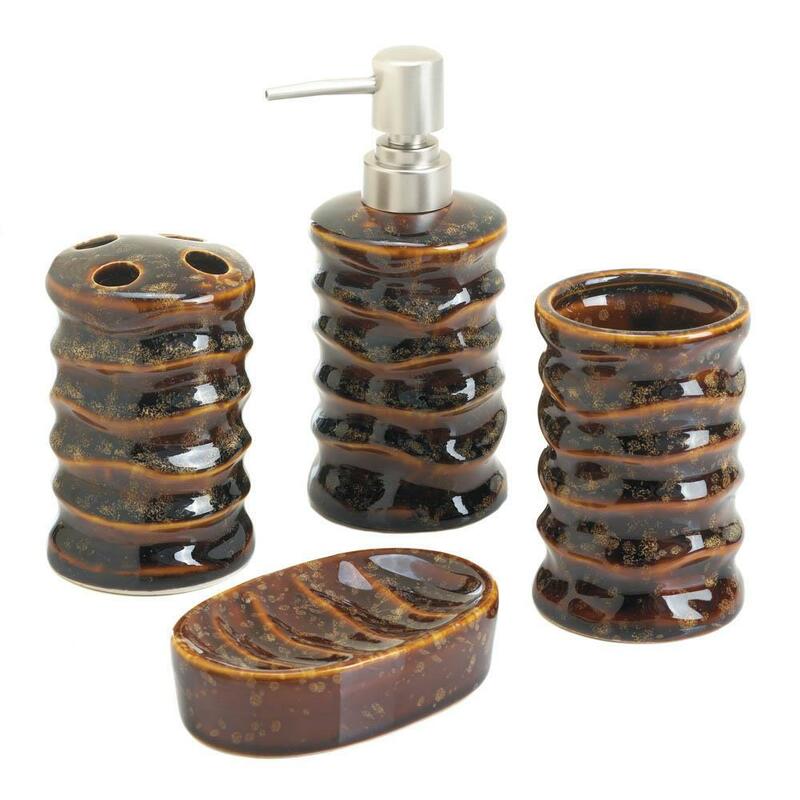 The set comes with a soap dispenser with silver pump, four-slot toothbrush holder, cup, and oval soap dish. Weight 2.64 pounds. 3" x 3" x 6.75". Porcelain. UPC Number: 849179030278.